Our fourth Christmas-themed compilation album was released on 1 December 2013. The record is available to order from forfolkssake.bandcamp.com and all orders come with an immediate download. All profits from the sale of the album will go to Médecins Sans Frontières. This year we feature tracks from Stornoway, Dark Dark Dark, Alessi’s Ark and Left With Pictures as well as exciting newcomers like Patch & the Giant and Sophie Jamieson. There are beautiful new versions of old favourites – Alessi’s Ark brings joy to our worlds, and Laish offer a modern take on Silent Night – as well as new tracks tackling the horrors of Westfield at Christmas by Joe Innes & the Cavalcade, while Worry Dolls explore settling into Christmas back home. Our friend and FFS writer Natalie Roberts’ works as a doctor with Médecins Sans Frontières. She has just come back from setting up hospitals in war-torn Syria, and is now stationed in the Philippines helping people affected by Typhoon Haiyan. 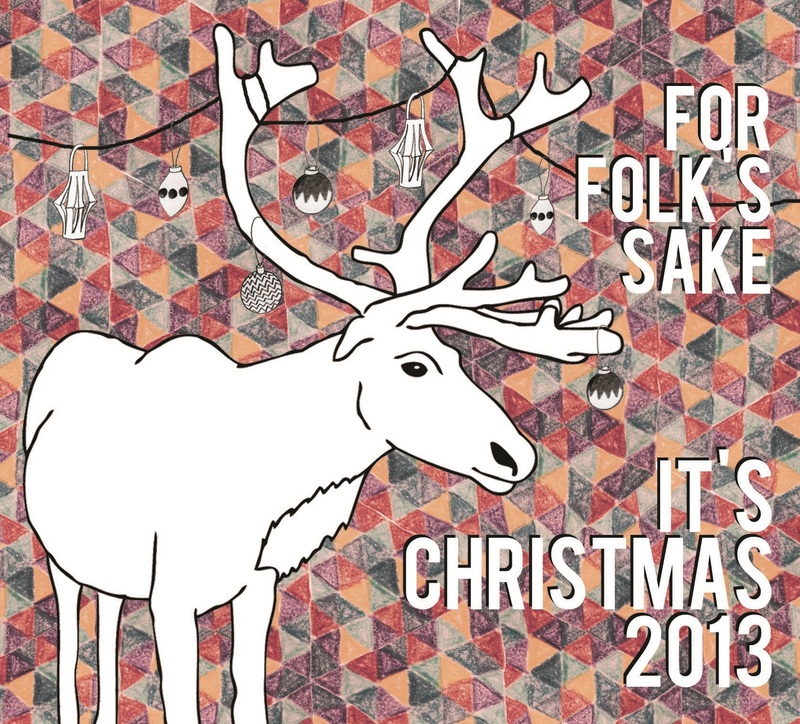 All profits from the sale of For Folk’s Sake It’s Christmas 2013 will go to MSF to support their incredible work. Physical copies, featuring artwork from Sarah Oxley, are available to order now from forfolkssake.bandcamp.com priced at £9 (+ postage). The album is also available to download.